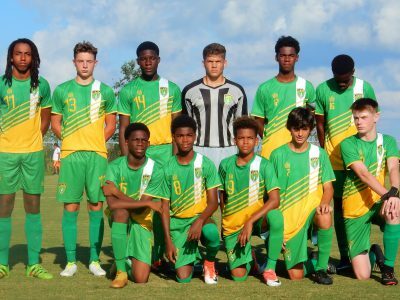 The U15 Boys team rounded out group play at the CONCACAF Championship on Wednesday 16th August, 2017 with an emphatic 8-2 win over Montserrat. 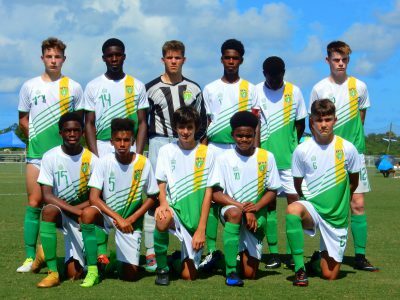 The U15 Boys Soccer team routed the Turks and Caicos 7-3, on Tuesday 15th August 2017 as the CONCACAF U15 Championship continued at the IMG Academy in Florida, USA. The British Virgin Islands Football Association has been in existence in 1974, with football first being recognised from 1968. From “Kick Around” roots, two teams formed to play matches and later on the Royal Engineers, who were expanding Beef Island Airport, joined to make a league of three teams. Now the BVIFA supports a Primary School and High School League, Women’s Football and two Senior Men’s Divisions. The BVI Football Association (BVIFA) added 11 new photos — in Anguilla.